The Orlando Business Journal has released its list of the Best Places to Work in 2016 and Alcorn McBride is listed among the area’s top employers. 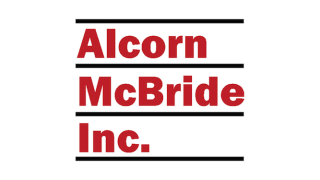 The accolade comes as Alcorn McBride marks its 30th anniversary. The company is well known for its employee-centric work environment in the themed entertainment industry. "We've accomplished a lot over the past 30 years, but the one constant has been Steve Alcorn's unwavering commitment to our company culture," said Loren Barrows, director of business development. "Steve puts his team members first and encourages a fun family working environment that has a huge impact on our success." The Orlando Business Journal’s annual list of Best Places to Work honors companies that “go beyond the norm to foster an enjoyable and meaningful work environment for their employees,” according to the publication. Companies in six counties, which have more than 10 eligible employees, could be nominated for the list. Nominees were sent surveys for employees to fill out evaluating categories such as team effectiveness, retention, trust, people practices, and feeling valued. The company supports its employees in a wide range of charitable activities. “A charity particularly important to a lot of us,” she noted, “is Give Kids the World Village.” Alcorn McBride employees volunteer time to the organization that provides cost-free vacations and theme park access to children with life-threatening illnesses and their families. The company also donates audio/video and show control gear to the facility. Also high on the good-cause list is preparing future generations for success. Hour of Code, a global movement encouraging computer science, SWE (Society of Women Engineers), and the TEA NextGen Initiative (The Themed Entertainment Association) are designed to help students and recent graduates find their way into the themed entertainment industry. Several team members volunteer on committees and help organize events to ensure the next generation of talent gets off to a good start.